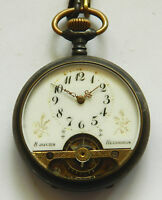 Rare antique silver Presto/Hebdomas 8 days pocket watch c1900.Visible balance. victors_watches_store has no other items for sale. 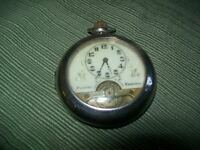 Lot of 2 Vintage Antique Steel Case Wespa Pocket Watch Hebdomas? Germany Swiss ?